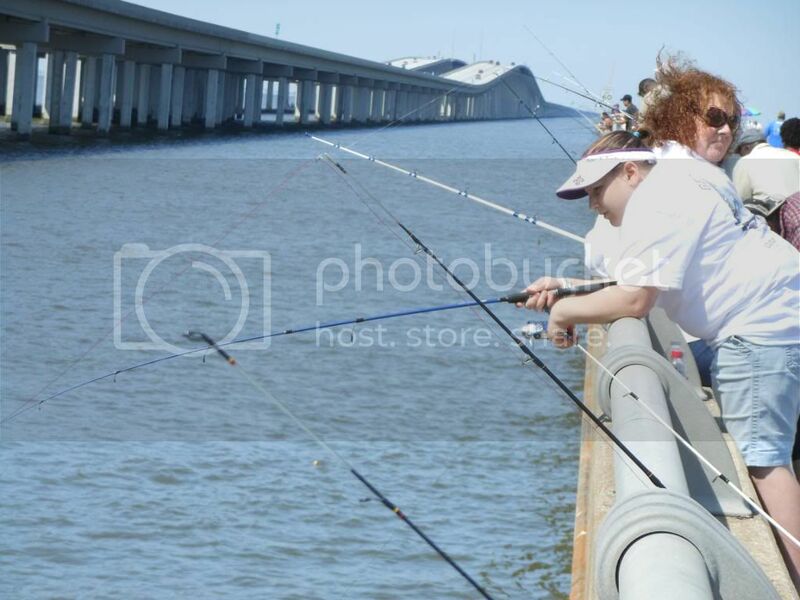 Well, Ken and I didn't actually go fishing ... but we did go to the new fishing pier minutes from our house! 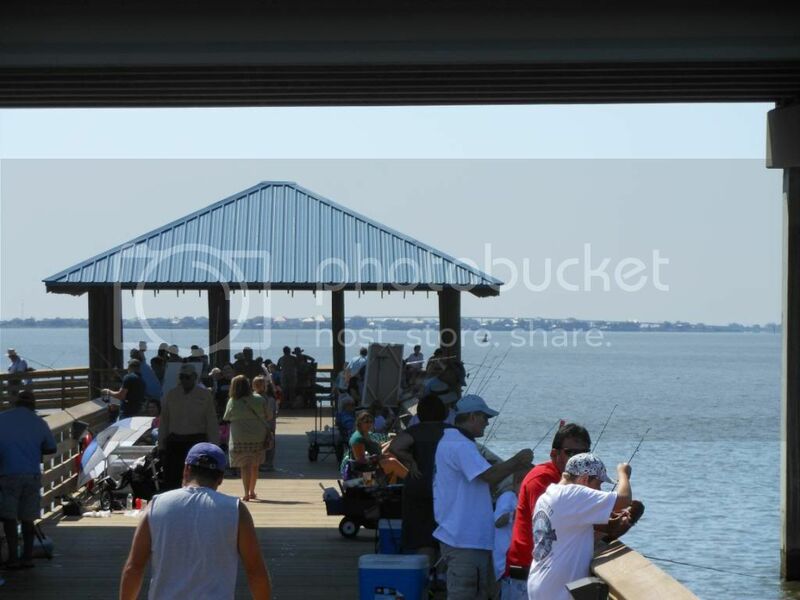 Saturday morning was the grand opening of the new Slidell fishing pier, which was built from the remains of a damaged bridge going over Lake Pontchartrain and connecting Slidell to New Orleans. The bridge, often referred to as the "Twin Span", was torn apart after hurricane Katrina in 2005. 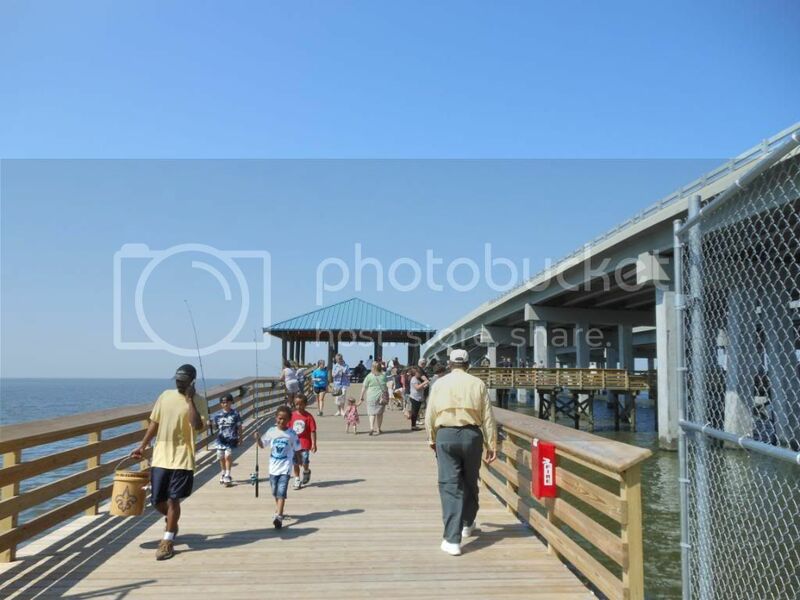 A new bridge was constructed, as well as the fishing pier. 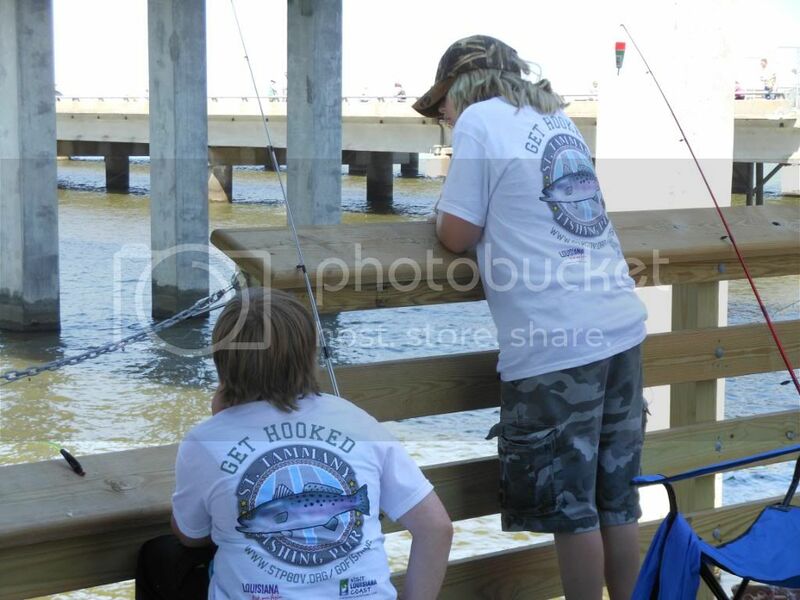 The grand opening featured a fishing rodeo, with the winners to be announced later in the afternoon. There were tents set up, providing free t-shirts (like the one the little girl is wearing above), koozies and other little items. We don't have our fishing licenses yet, but we plan on getting them soon .. along with a few crab nets! I have many fond childhood memories of crabbing along the New Orleans lakefront with my grandfather while watching the sunrise. 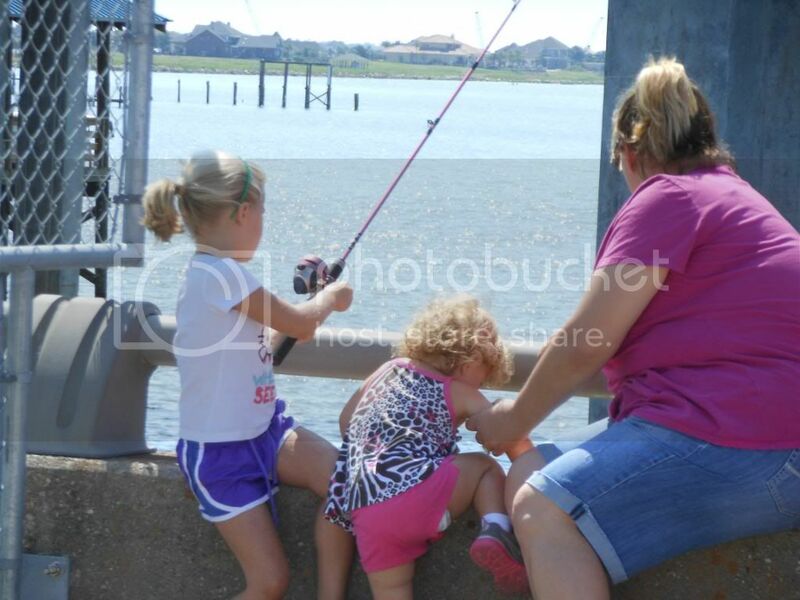 I have yet to go crabbing with Ken or our daughter, and would really like to do so on this new fishing pier. I love crabs, and I used to love pulling up the nets as a child ... wondering if I had caught anything! Ken knows how to boil seafood just right, so we need to do this soon! 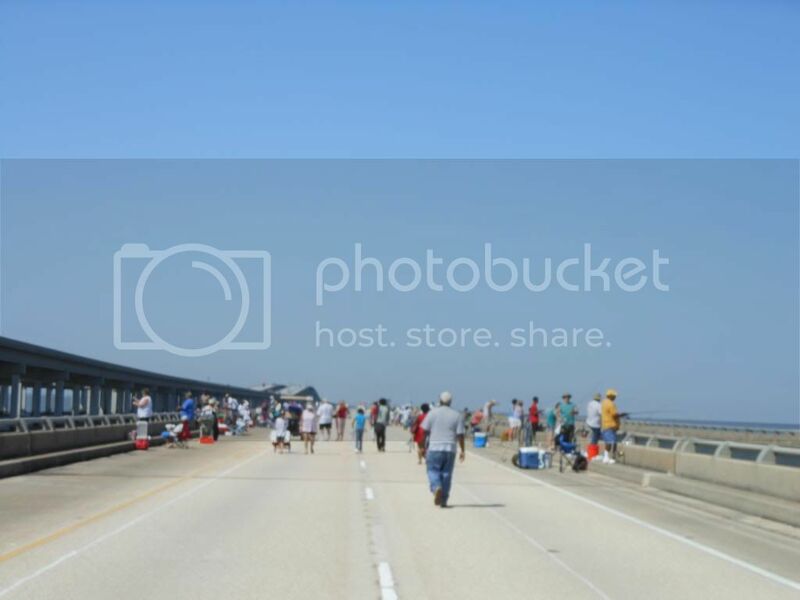 Many families were set up to fish for the day, with their ice chests and umbrellas. 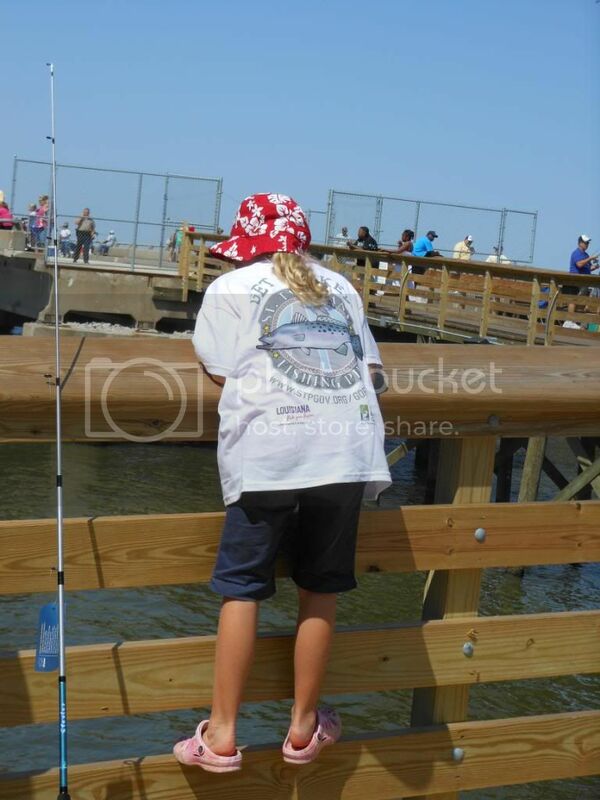 We enjoyed watching the people fish, and the weather was perfect for roaming around the pier. 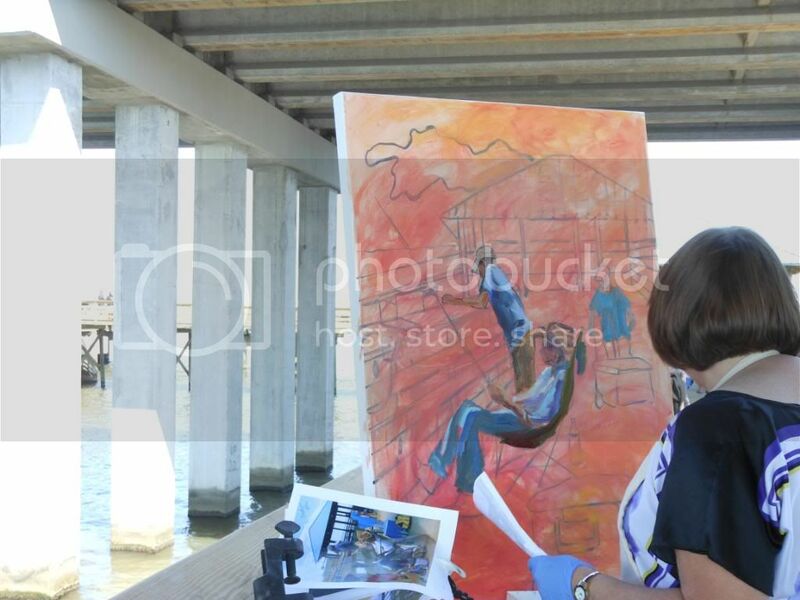 There were a few artists on the pier, each painting a new creation. I'm sure the artists find a lot of inspiration on the lake! 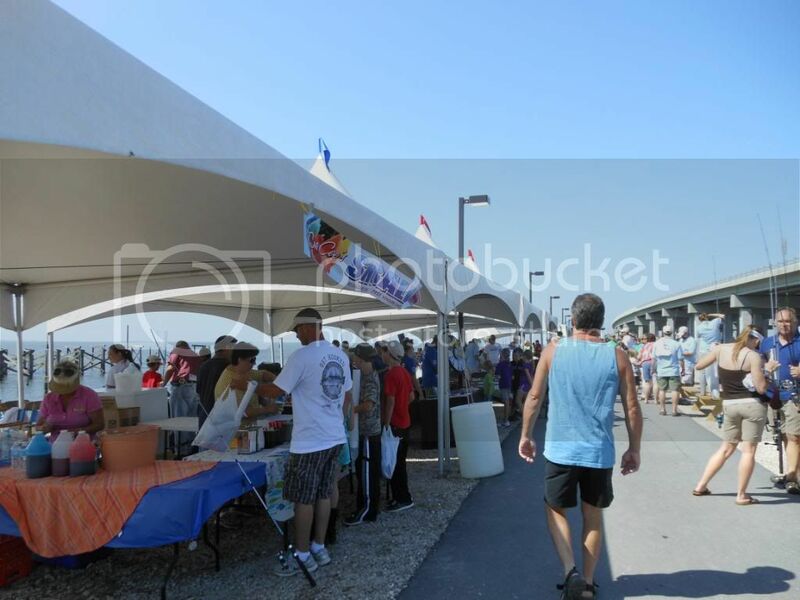 Walking through the entrance, which leads under the new bridge then to the old bridge/fishing pier. There were several areas to grab some shade, under the new bridge and under the patios! (Our neighborhood is just outside this picture, on the right). A local artist ... Ken actually built her a house a few years back! 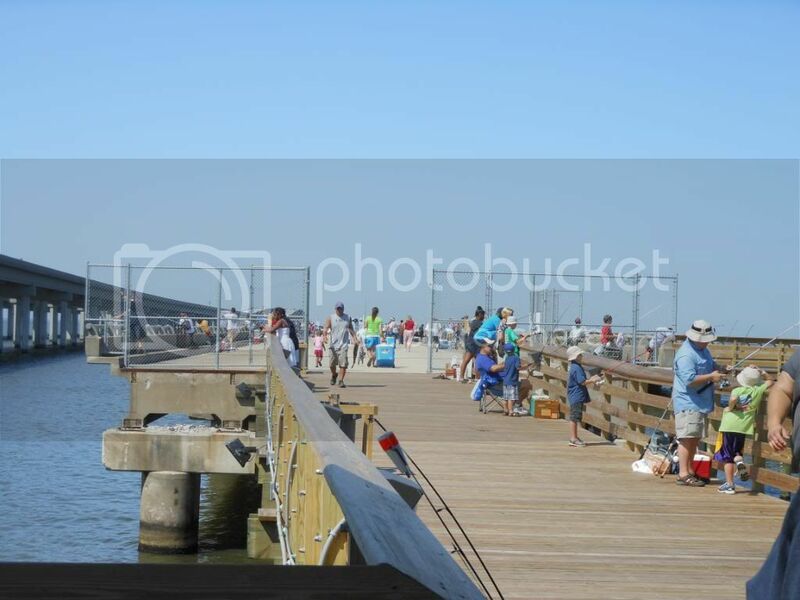 The new fishing pier on the old bridge! It felt strange to walk on the bridge that we used to drive across! 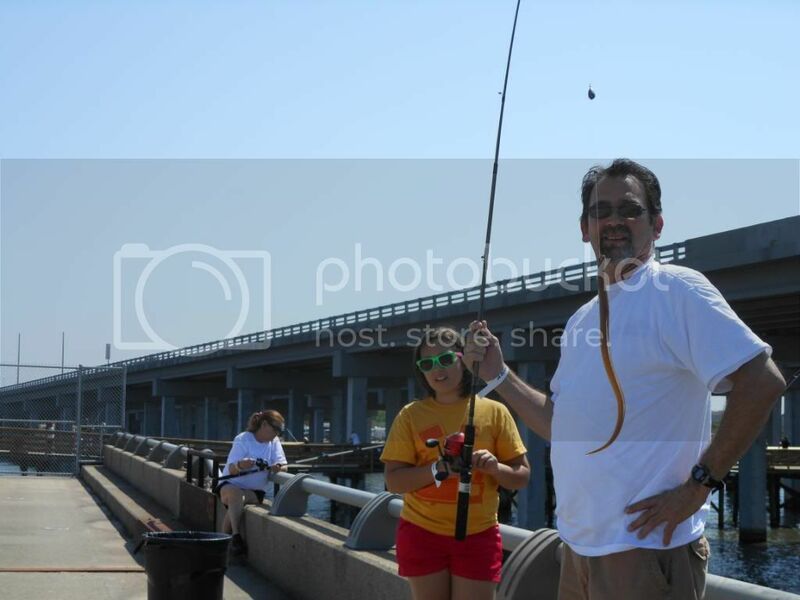 An eel ... he asked us how to get it off! Heck if we knew ... LOL! 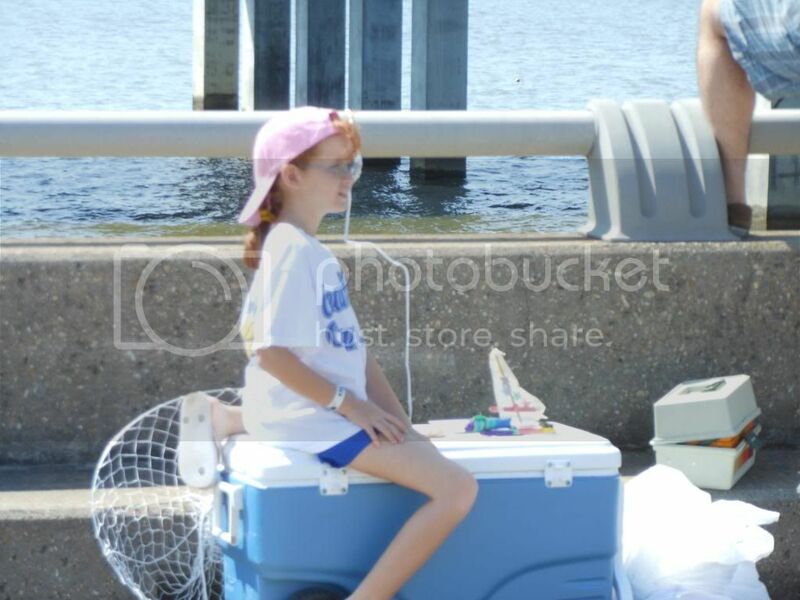 Another redhead, with her crab net and little sailboat that she built! The area we live in is often referred to as "Sportsman's Paradise" ... it is a great place. I'm really craving some crabs now ... gotta go buy some nets! What a fun thing to do on a Saturday. I love crab too and now I want some. 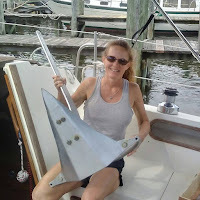 I'm sitting here at the industrial locks waiting to get through and catching up on my blogs and I noticed that I will be anchoring really close to where you guys live. I will be at rabbit island tonight. Anyway just thought I would chime in as I passim passing through. Rabbit Island?! You were so close! 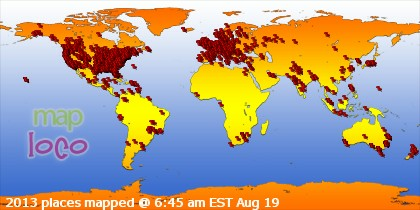 =) Checked out your site and sounds like you and the "Princess" are having a great time. We look forward to following along until we "cut our dock lines", which we're working on!